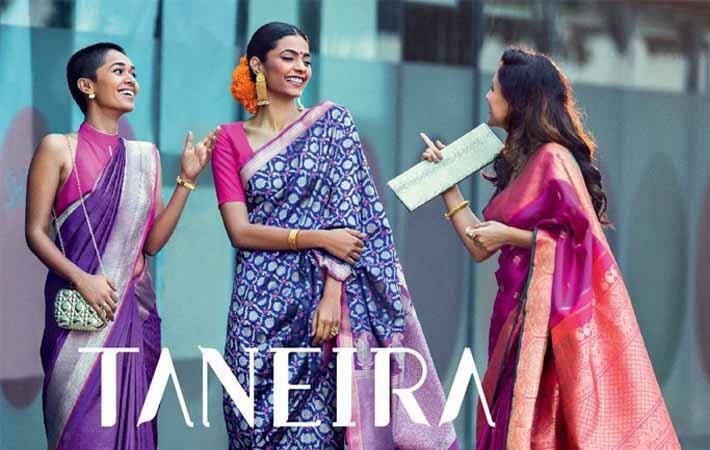 Taneira is the youngest brand from Titan which aims to revive one of the oldest occupations of handloom weaving and the oldest garment – the saree. The collection of handwovens and handcrafted saris include Mugas from Assam, cottons from Chettinad, Tussars from Bhagalpur, Ikats from Gujarat, Andhra and Orissa; Jamdhanis from Bengal, Chikankari work from Lucknow, exotic and classical Banarasi silks; exquisite Kanjeevarams; Heirloom pieces like Patan Patolas and Muslin Jamdhanis among others. 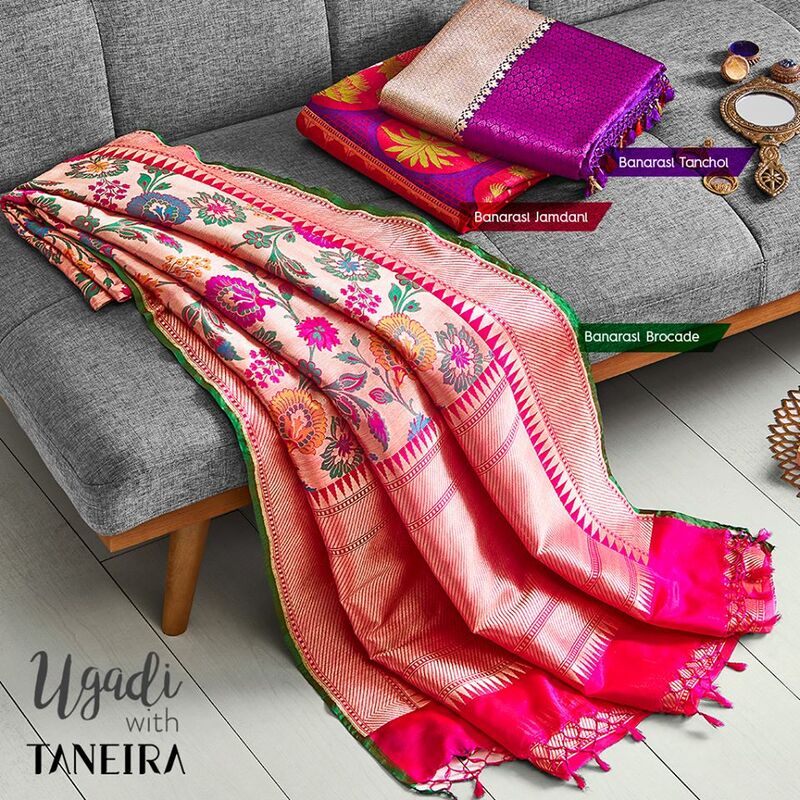 Also the name Taneira comes from the ‘tan’ in Tata, Tamil Nadu, Titan and Tanishq along with Ira which is another name for Goddess Saraswati in Sanskrit. Also the brand is inspired by the lotus as a motif. Ajoy Chawla, Sr. V.P. – Strategy & Biz. Incubation, tells Apparel all about the brand and the focus on natural and handloom fabrics in this exclusive conversation. What was the thought process behind Titan venturing into clothing? The way we look at it is that Titan as a company has several brands whether watches or eye wear are all about personal adornment and while there is a functionality to it, there is a lifestyle expression attached to it. Also we would like to see ourselves as a design driven company and in a way we use design and brand to express yourself. When it came to watches and to an extent eyewear it was all about engineered design. With jewellery we took a leap into crafted design from engineered design. Again all our products are about special occasions and milestones. 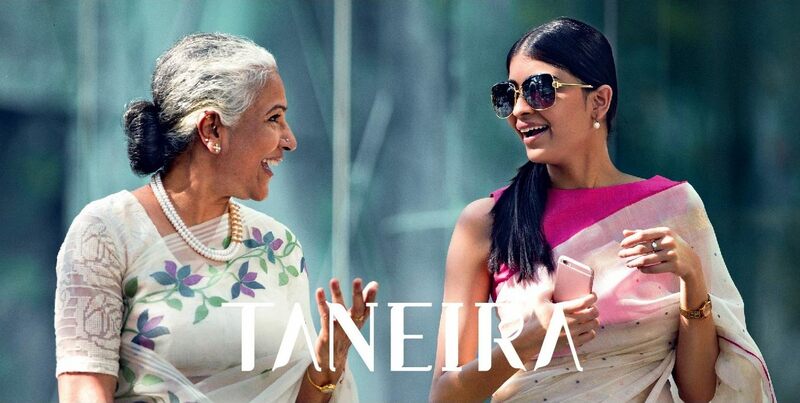 Again we have a large consumer base of the mindset we appeal to and Taneira was a logical extension to connect with the customer base. Again we are a Make in India brand and we appeal to Indian sensibilities. Therefore this category is a perfect natural fit to us. Why have you chosen Bangalore to start your store? We are at a stage where we are piloting the category. While it is anchored in sarees, it is not restricted to it and it is all about special occasion wear when you want to indulge yourself. We decided to pilot it in Bangalore as we are familiar with Bangalore and we are based here and it is truly cosmopolitan. In fact our second store is opening soon. The pilot however will however not be restricted to Bangalore. Also in Bangalore we can test out both cosmopolitan and regional mindsets as well. It gives us that opportunity to test out both. We have chosen to operate in naturals and hand woven fabrics in occasion wear. We feel there is an opportunity to make a difference in this space as we are able to give the promise of authenticity. Customers find it hard to know which products are authentic in this space as mostly these are mixed with synthetics or are made on power looms. And our products come with a brand promise that brings trust and assurance. We have chosen handcrafted products from across the country. We want to bring India under a roof and want to be a national player as and when we roll out. We have seen that women are quite experimental and open when it comes to having sarees of different kinds and regions. Also we want to curate and design products for a women who has a mindset that is rooted yet progressive. We want to use traditional craft in a contemporary avatar to connect with the woman who we are addressing. The retail experience including the blouse boutique and style studio that helps in customising products which will help women get an elevated customer experience. Also we are sourcing for 20 of the 400 clusters in India so there is a lot of choice too. Also we plan to have our own designs and over a period of time there will be more of this in the store and we will get them woven to our designs. In fact exclusivity is another factor – you will only find one piece of its kind in the store. More importantly we are able to tell the story of the crafts of different places under one roof. A lot of women have appreciated that the collection is so interesting and exclusive that they are spoilt for choice. Also they are able to browse at their own leisure and can buy if they want to. How do you see the traditional Indian fabric market growing in the country? We have intentionally kept the focus as special occasion wear because as soon as you make it every day wear there can be many Western influences. We have a rich heritage and this is a 5000 year old category that has stood the test of time. Also the consumer has a lot of pride in India today and they may or may not wear it on their sleeve. Also we have a lot of unique choices of techniques of weaves that this is an opportunity to bring it alive to the rest of the world. A lot of Western designers are showing interest in these weaves and the West is also recognizing these weaves. Also weddings have become big and even in a conservative city like Chennai, a wedding will also have a sangeet ceremony. And these are occasions to celebrate our cultural diversity. What about exports of these sarees? Already there is a lot of interest and in the last few months we have received several requests from Dubai, London and US. Right now we have not geared up for it but I am sure in time we will. The first thing is to be able to figure out the business model. This is not a mass market model as each piece here is unique. But is there a great value proposition – yes the NRI segment is definitely a key market as they want to be rooted to India. And this helps anchor that sentiment, especially as they celebrate festivals with more gusto than we do in India. When do you want to be online? We will also explore that sometime in future assuming that we are able to establish the fundamental proposition of doing things right. We have several requests from other parts of the country and again this category attracts a lot of interest. What we have found out is that women are extremely passionate about this category and you do not need to advertise really and we get a lot of enquiries on our Face book page and website. So once we evolve the strategy we should do it in the future. Where do you source the sarees from? We are working with 200 suppliers including weaving societies, weavers, master weavers, designers working with special clusters and a few intermediaries as well. We are also exploring more and a lot of people are reaching out to us saying they have a new offering to add to the line. 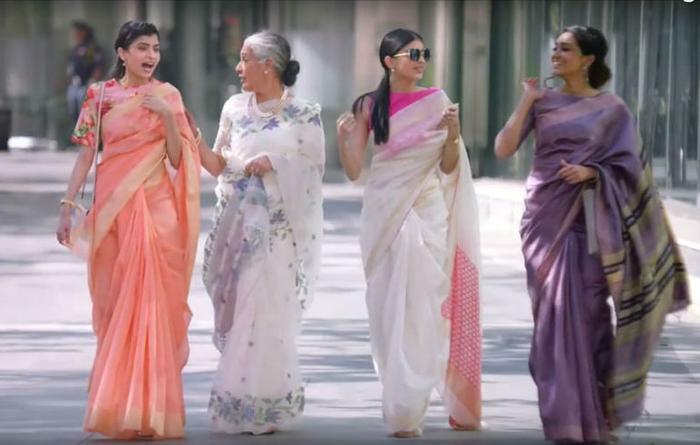 What are the growth projections you see for the ethnic women’s wear segment? We have not yet put in our own numbers but a KSA Technopak study on done a couple of years back itself for ethnic wear had pegged this at 25000 crore market growing at double digits. We are exploring a couple more cities – as we want a North Indian insight as well as a small city versus a large one. We are also looking at other cities and we plan to also do exhibitions and trunk shows that will allow us to understand regional preferences, merchandise, pricing, colours and more. The idea of the 12 month pilot is to use the learning’s to arrive at a view to sharpen our brand proposition and check if the pricing, product assortment, retail formats are right. Where do you want to take this brand? We know the brand stands for celebrating the craft and artisans. One of the insights we had was that a woman feels transformed when she is wearing a saree especially for an occasion. And the transformation she feels and her experience with the knowledge that this is a unique expression of her feminity is what we want. The idea of the brand is very purist in that sense. In India if you offer a good value proposition, you will have a market. But what matters is to create the special feeling of buying a saree and discovers the craft on your own and then become the brand advocate. So the aspiration is to make the experience special and not get caught up in the rut of scaling up.